Renting In Philadelphia: What Will $1,800 Get You? First, there's this 1-bedroom, 1-bathroom townhouse, located at 844 N 29th St., listed at $1,800 / month for its 1,019-square-feet of space. In the unit, there are high ceilings, air conditioning, stainless steel appliances, plenty of natural light and ample amount of closet space. When it comes to building amenities, expect on-site laundry and storage space. Cats and dogs aren't permitted. Next, this 1-bedroom, 1-bathroom apartment at 122 Chestnut St. is also listed for $1,800 / month. In the unit, you'll get hardwood floors, a full kitchen with stainless steel appliances, exposed brick, a ceiling fan, large windows and in-unit laundry. The building boasts an elevator and on-site management. Cats and dogs aren't allowed. Here's a 1-bedroom, 1-bathroom, 538-square-foot apartment that's situated at 201 S 22nd St. and listed for $1,800 / month. Tenants will find this unit offers hardwood floors, stainless steel appliances, built-in shelves, a partially tiled bathroom and plenty of natural light. The building offers storage space. Pets are not welcome. 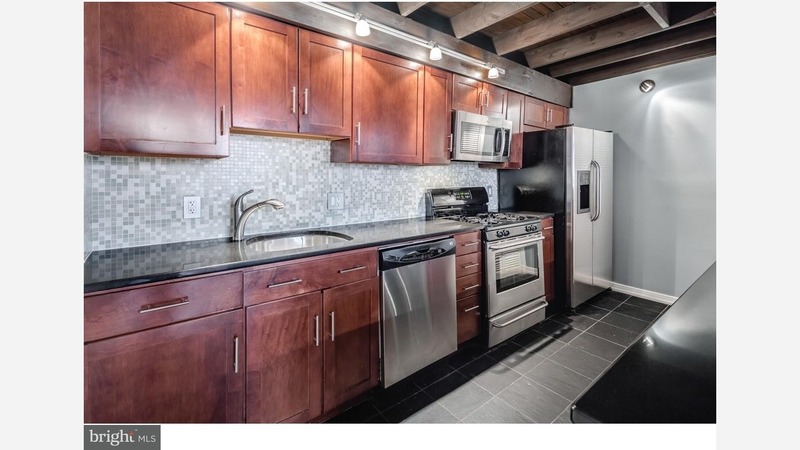 This 1-bedroom, 1-bathroom, unit at 2114 Arch St. is going for $1,795 / month. In the apartment, expect a mix of hardwood floors and carpeting, a partially tiled bathroom, stainless steel appliances, a dishwasher and plenty of closet space. When it comes to building amenities, you can look forward to a fitness center and on-site laundry. Cats and dogs aren't allowed. Next, check out this 1,302-square-foot, 1-bedroom, 1-bathroom condo that's located at 47 N 3rd St. and also listed for $1,795 / month. In the unit, you'll get a dishwasher, stainless steel appliances, in-unit laundry, carpeting, both air conditioning and central heating, a spiral staircase and a loft area. Amenities offered in the building include a fitness center and storage space. Both cats and dogs are welcome. Located at 1530 Pine St., here's a 1-bedroom, 1-bathroom apartment that's listed for $1,795 / month. In the unit, you can anticipate hardwood floors, a dishwasher, stainless steel appliances, air conditioning, exposed brick, bay windows and a ceiling fan. When it comes to building amenities, expect on-site laundry. Pets are welcome.